Petia Ilieva as Syrene (Lilac Fairy) in The Sleeping Beauty by Finnish National Ballet. Taken on 2.10.2013. The Sleeping Beauty (Russian: Спящая красавица) is a ballet in a prologue and three acts, first performed in 1890. The music was composed by Pyotr Ilyich Tchaikovsky. 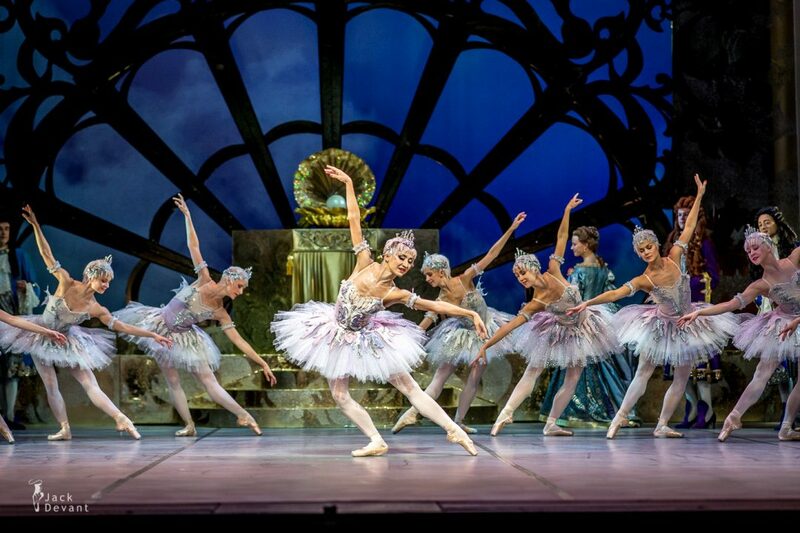 The most powerful fairy is the Lilac Fairy, the ballet’s focus was undeniably on the two main conflicting forces of good (the Lilac Fairy) and evil (Carabosse); each has a leitmotif representing them, which run through the entire ballet, serving as an important thread to the underlying plot. Act III of the work, however, takes a complete break from the two motifs and instead places focus on the individual characters of the various court dances. Photos by Jack Devant © with kind permission of the Finnish National Opera, special thanks to Heidi Almi.